In container glass production, wall thickness and roundness of the bottles are crucial quality features. This is why these parameters must be 100 % inspected. Any faulty containers are immediately rejected and returned to the glass melt. Due to high processing speeds and in order to prevent the bottles from being damaged, a fast, non-contact measurement procedure is required. 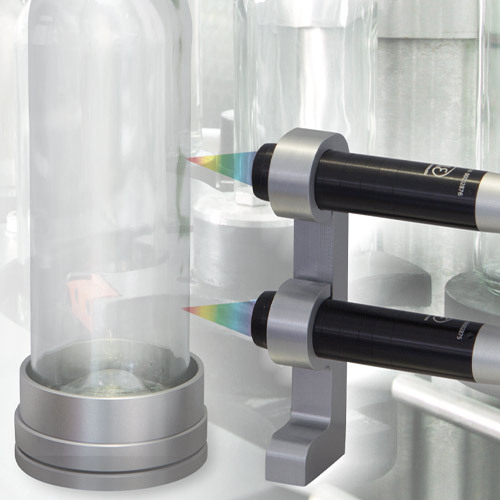 The confocal chromatic confocalDT 2422 dual-channel measurement system combined with the IFS2406-10 sensor from Micro-Epsilon are ideally suited to this measurement task.